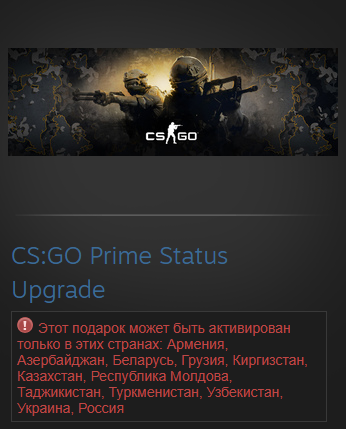 For users with prime status, players with the same status are selected. They can also receive exclusive prime-status souvenirs, items, and weapon cases. After payment you will immediately receive a link to activate the game. 1. If you do not yet have a Steam account, download the client (http://steampowered.com/download/SteamInstall.msi) and register. 5. The game should appear in your Steam library, and you can download it.